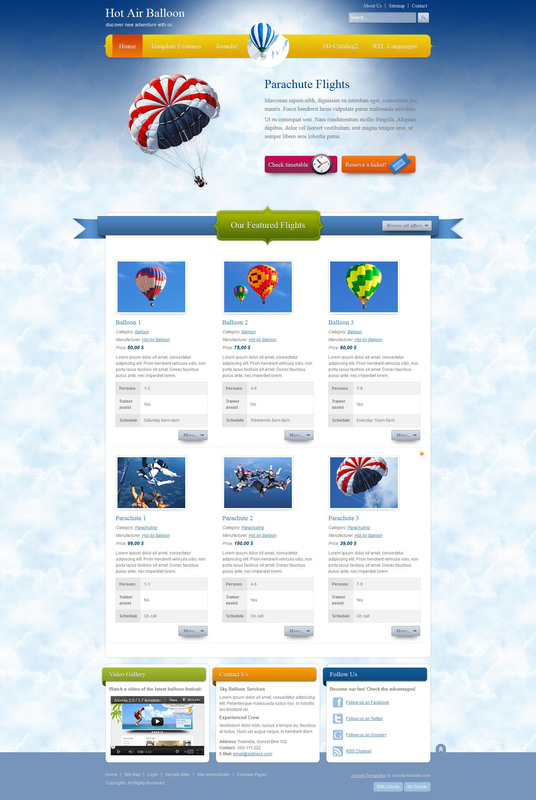 Developers develop Joomla Monster templates and on tourism. So, there was a pattern called - JM Balloon . Original layout with a great design. To configure all the parameters is sufficient to use the template manager, he will do quickly and without complex manipulations. Layout is represented in one color with four modular styles. He has the opportunity to comment code files, optimizing files, as well as a flexible, modular system. It has the following advantages, such as support for mobile and full version of the site, as well as the ability to view the site through the tablet.